Acne or pimples are a dermatological disorder which is not purely cosmetic as it tends to create anxiety and is sometimes related to your way of life. Recently FDA announced what we as customers have known for a long time that over the counter acne products were causing reactions. Per FDA article of June 2014 use of certain over the counter acne products with benzoyl peroxide, salicylic acid or both were at high risk of developing serious hypersensitivity reactions. These reactions could be local and included redness, itchiness, burning and peeling at the site of application. The systemic severe anaphylactic reactions were rare but were known to be associated with difficulty breathing, faintness, swelling of lips and tightness in throat. ( source FDA http://www.fda.gov/Drugs/DrugSafety/ucm400923.htm). Using milder and yet effective acne control products are the only way to go even though they may take a longer time to control your pimples. 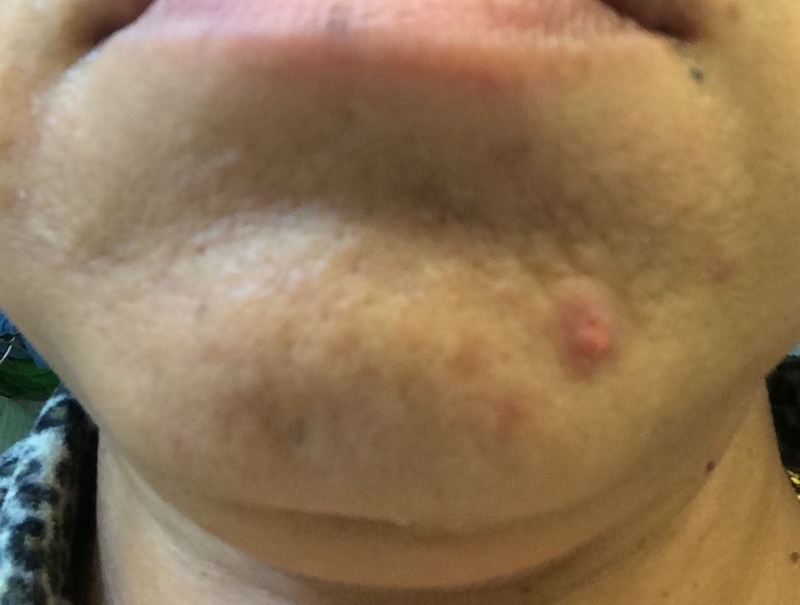 Being a forty something year old I have struggled with pimples all my life. Having tried a range of products I developed a combination of Cleanser, Toner and Moisturizer which were mild and yet effective. This is currently being sold as Clean Range by Herbally Radiant. I have not figured out a way to completely treat pimples because the development of pimples is multifactorial which includes but is not limited to dysfunction of your hormones, eating habits, hygiene and stress levels. Day 1. 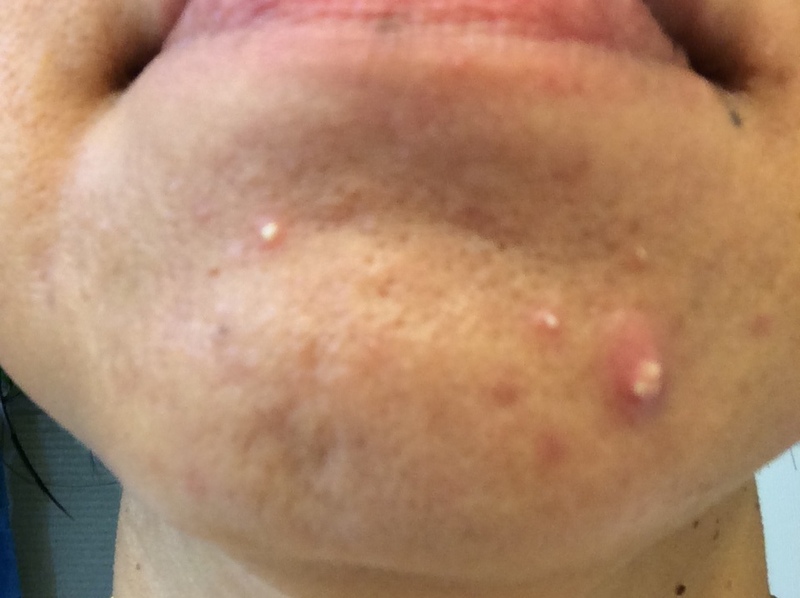 Got up and saw this invasion of red and white heads of pimples. The skin is in total tantrum mode- thanks to summer vacation- I have been eating horribly and sleeping late.. I immediately started using ( AM and PM ) Clean Range acne control products from Herbally Radiant. 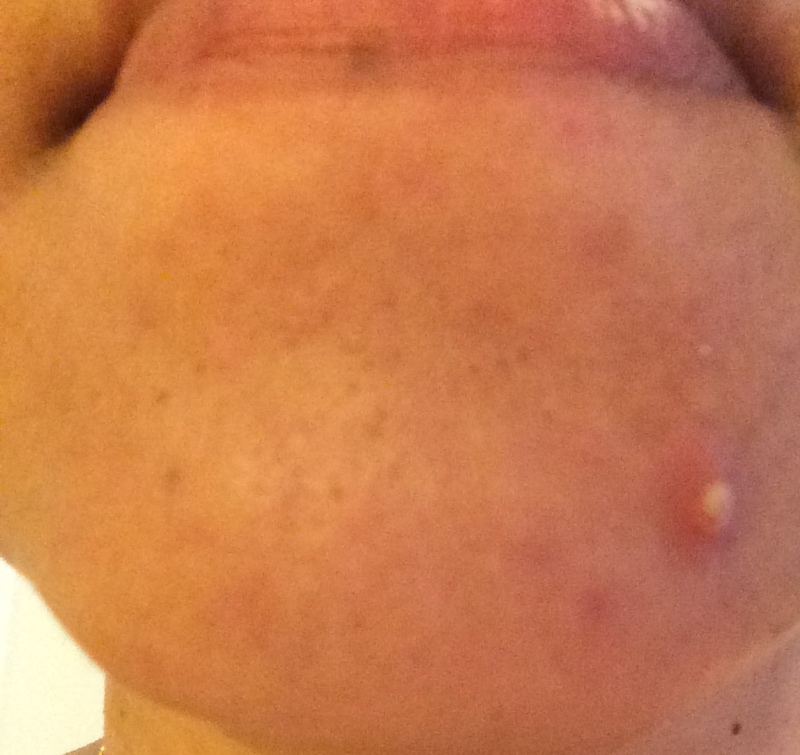 I also decided to follow the life of these pimples!! Day 2 The smaller pimples are banished but the stubborn larger pimple is staying put. Day 3 The white head of the large pimple is disappearing and thank God no new pimples!! Day 4 Red pimple is becoming pink and calming down. 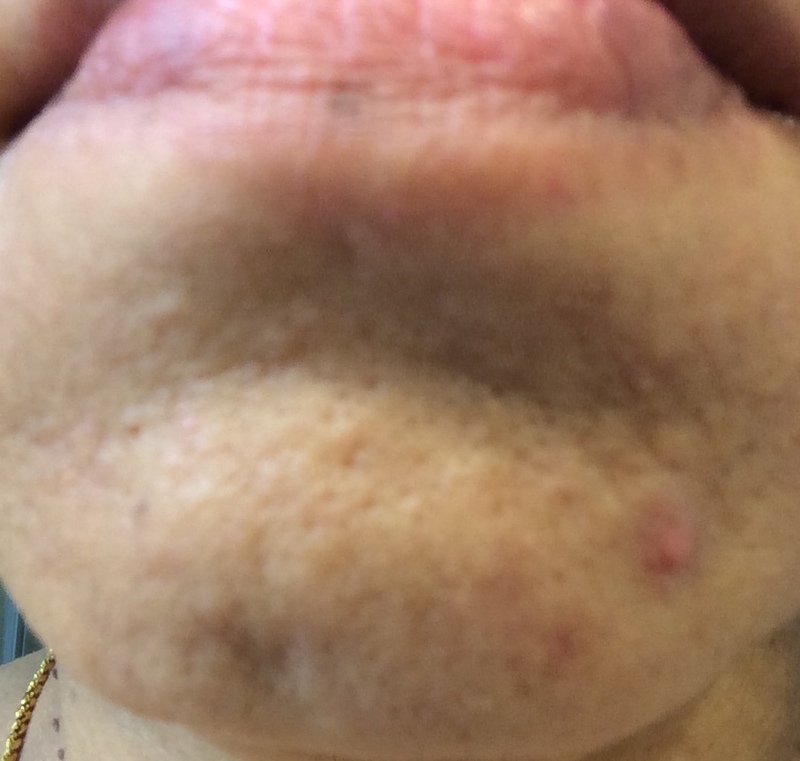 I am afraid that the pimple will leave a pigmented scar..
Day 5 I am happy that it is finally controlled. 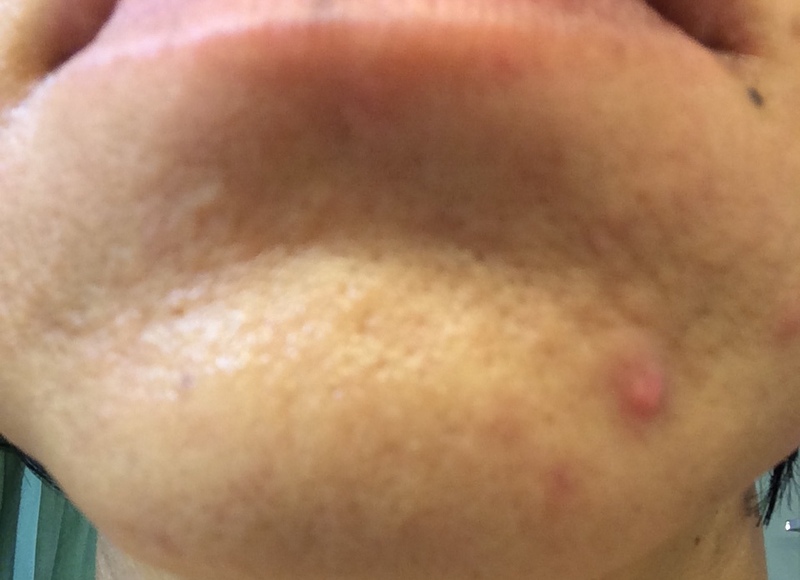 The pimple is fading away and much less prominent. I hope that the pigmentation will disappear. I usually use Clean scrub and Pumpkin Glow mask from Herbally Radiant to help in de pigmentation of my acne scars. The pimple is controlled. Next step is to fade the acne scar..